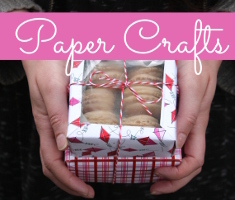 Though Kristin states that all of the crafts and tutorials in her blog are experiments, she shares beautiful home decor, sewing tutorials, and fun kid’s crafts on Craftiments. My girls have been fascinated with jellyfish since seeing hundreds of them washed up onto New Smyrna Beach last summer. 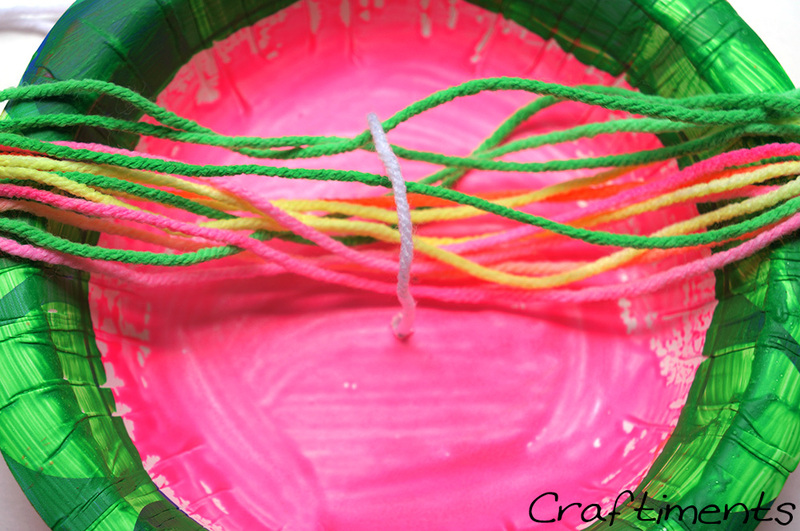 Together we crafted a sting-free variety out of paper bowls, yarn and glow-in-the-dark acrylic paint. Would you like to learn how? Paint the bowl inside and out. 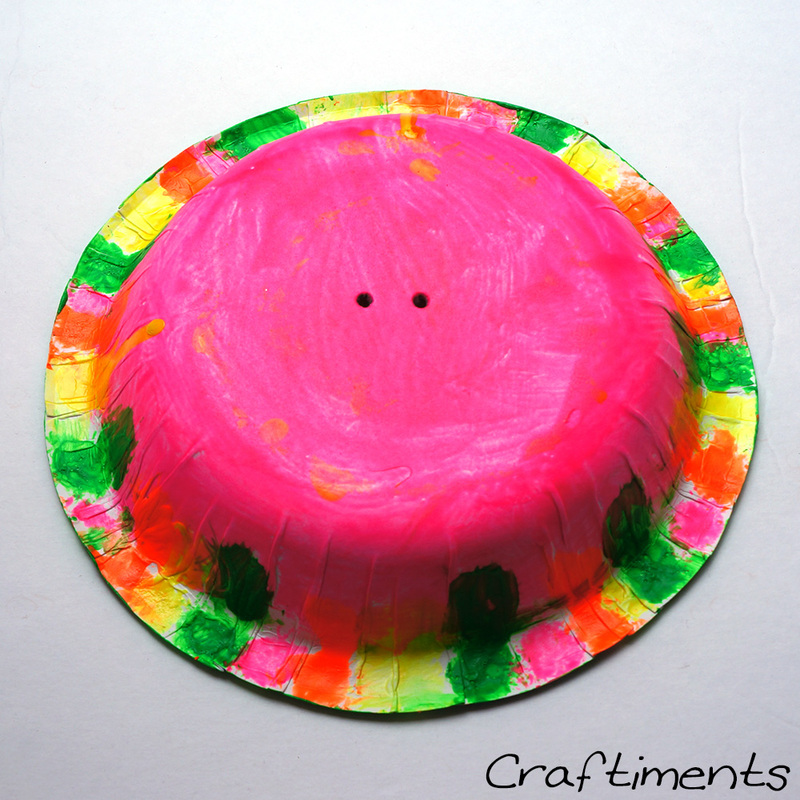 Use two or more coats of paint for a brighter “glow”. 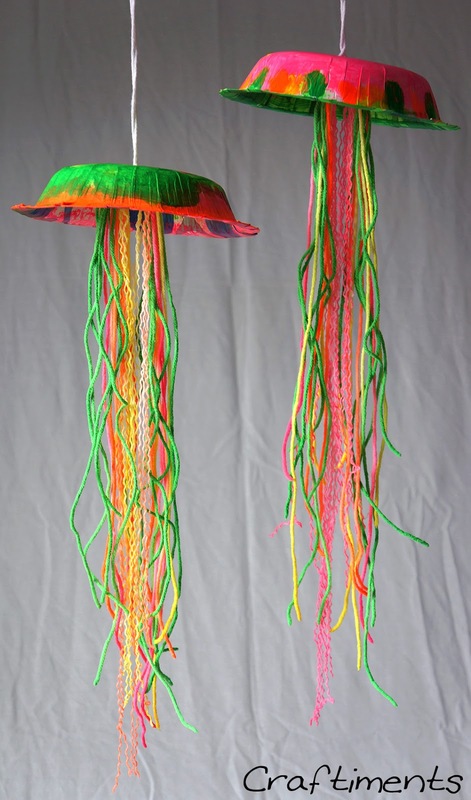 For the tentacles, cut 10 – 12 pieces of yarn approximately 36 inches in length. 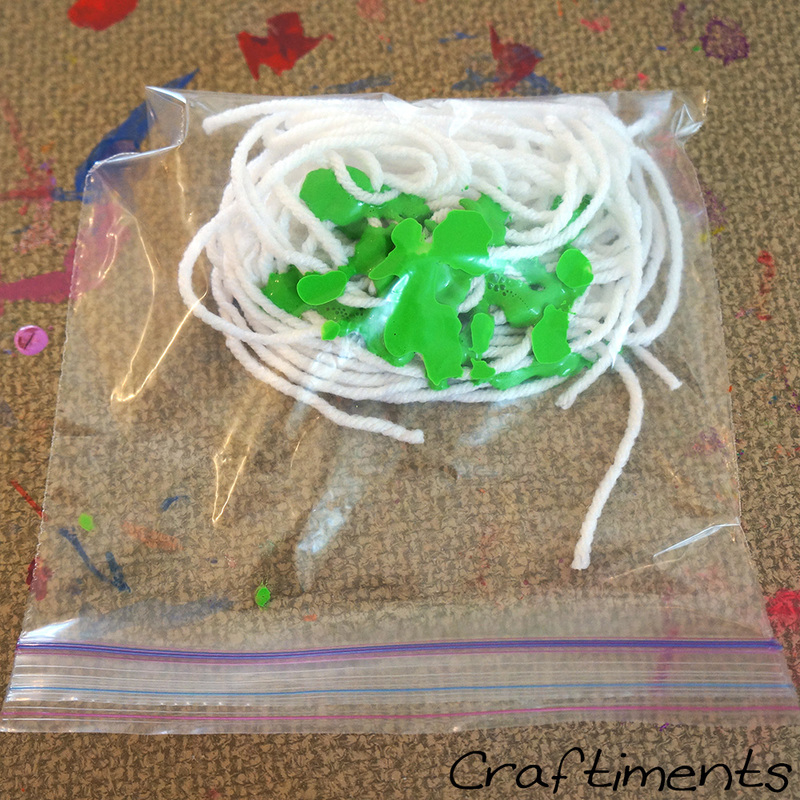 Place them in a zipper sandwich bag with several squirts of glow paint and seal the bag. Squish! Squish! Squish! 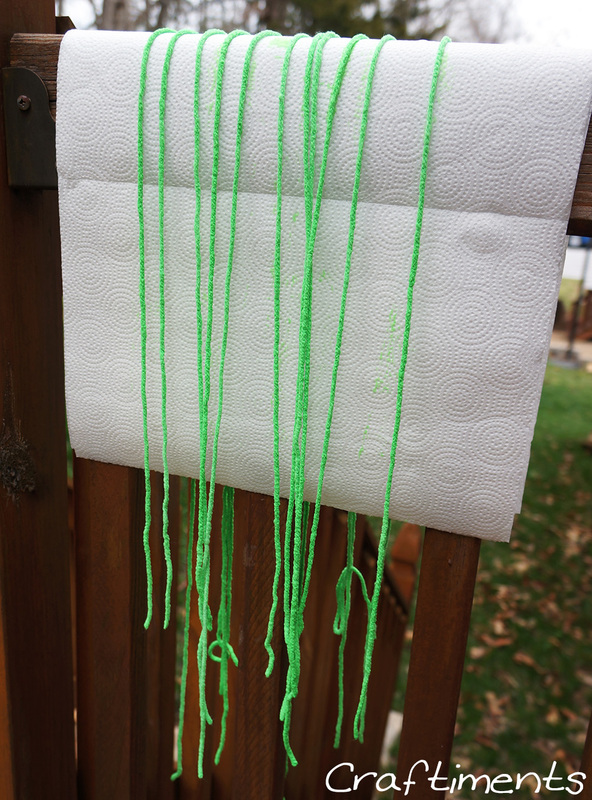 until the yarn is completely covered, adding more paint if necessary. 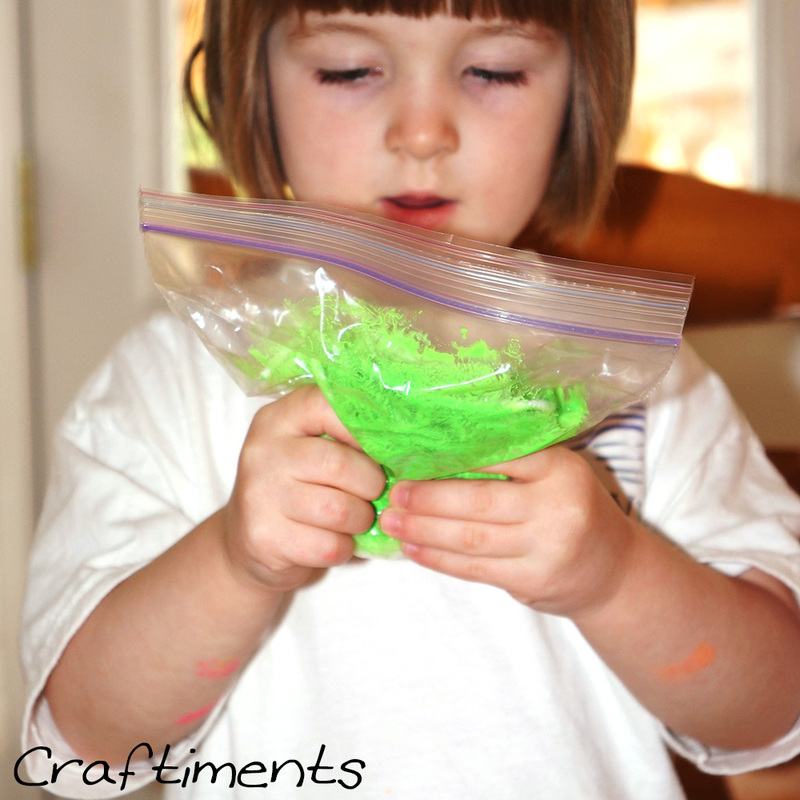 If the paint is too thick, add a little water to the bag. At the center of the bowl, punch two holes about 0.5 inch apart using a skewer or sharp pencil. 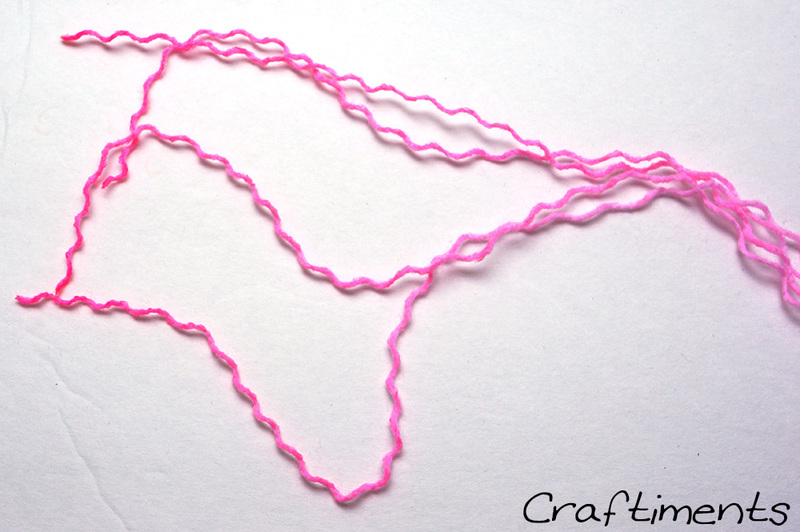 Cut a piece of yarn approximately 40 inches long. 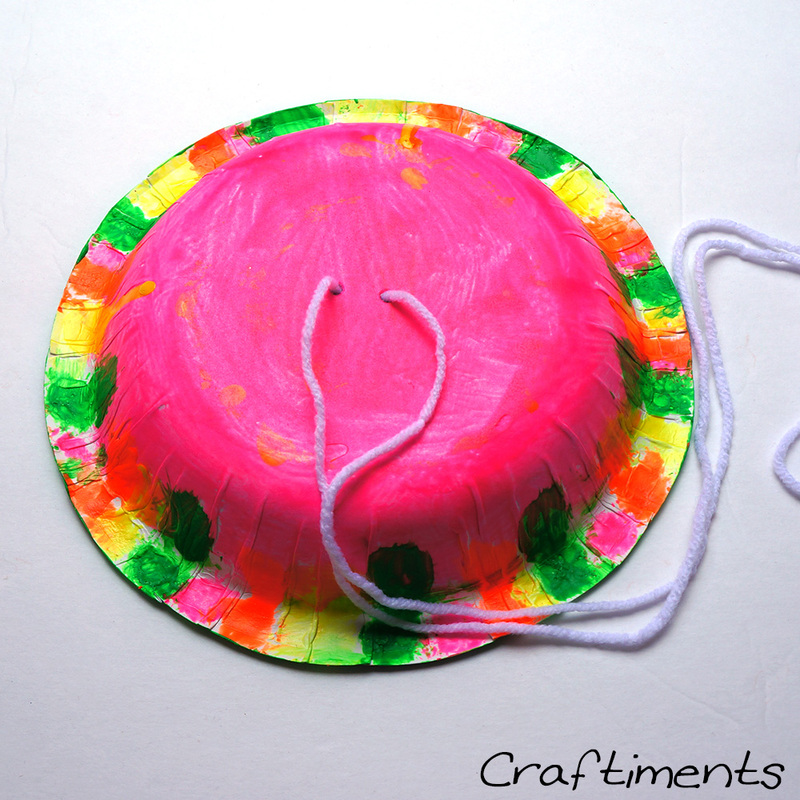 Thread it through the two holes so that both ends come out the bottom of the bowl. 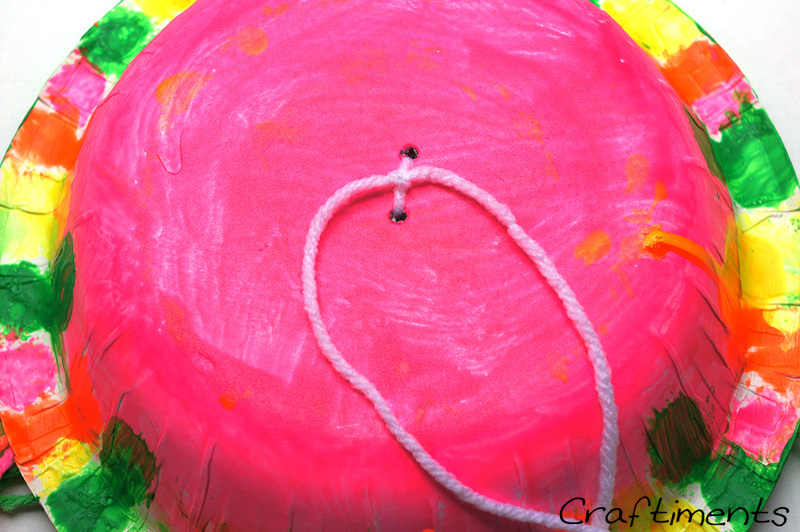 From the inside of the bowl, pull the yarn up to form a small loop. Thread the tentacles through and roughly center them under the loop. 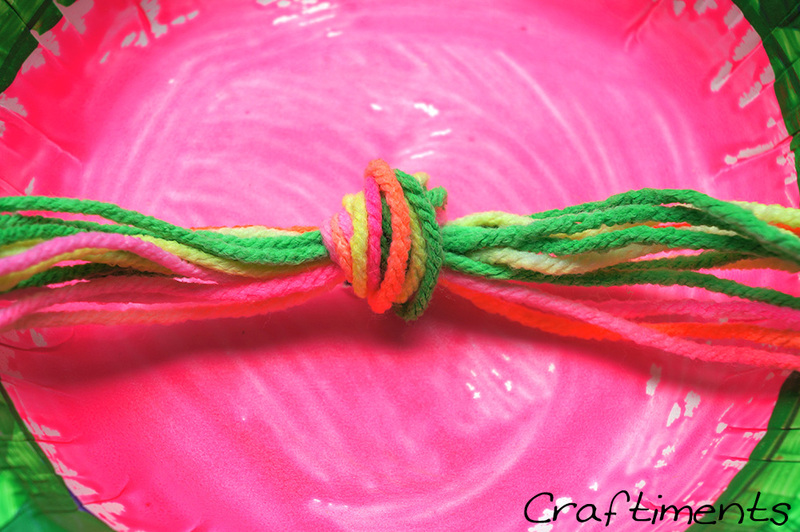 Flip the bowl, pull the yarn taut and tie a double knot. Back on the inside, grasp the tentacles as one bunch and tie a single knot. 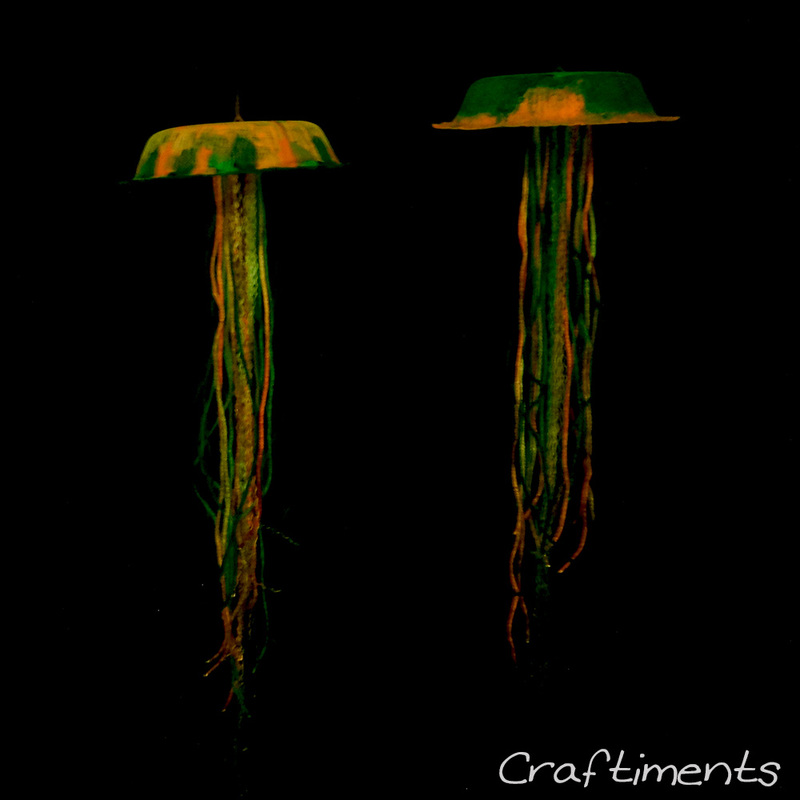 The frilly appendages flanking the mouths of some types of jellyfish are called “oral arms”. 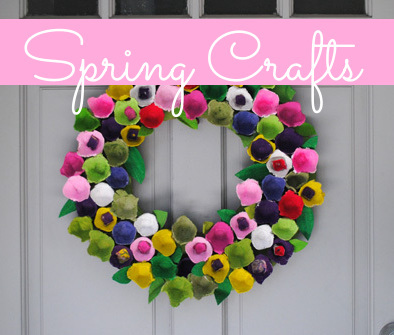 To recreate these, unravel a few pieces of yarn that hang close to the center of the bunch. 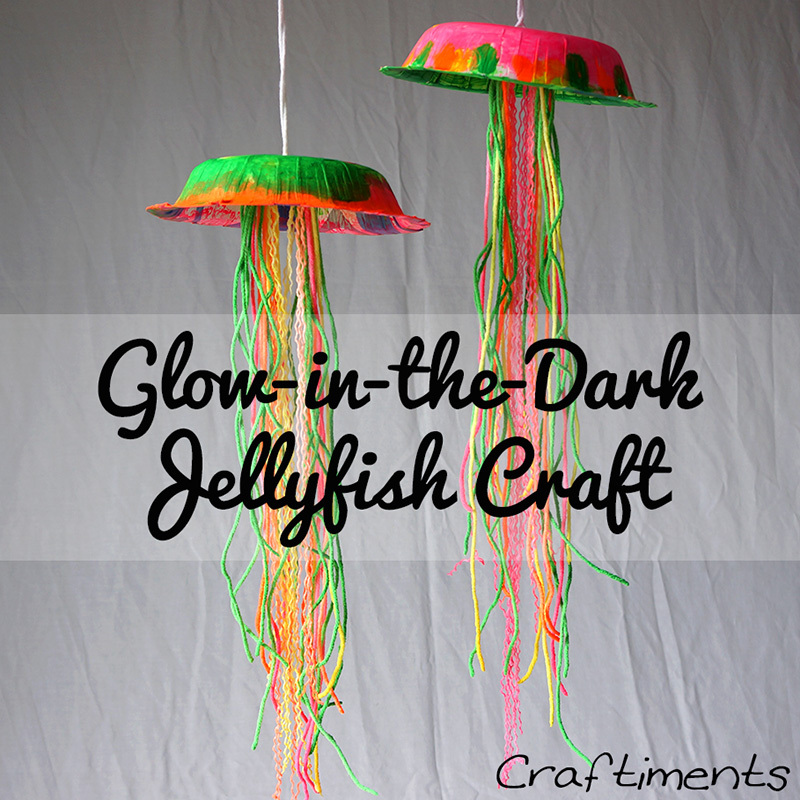 Charge your jellyfish creation in bright light for at least 30 minutes. Turn out the lights and enjoy its luminous glow! 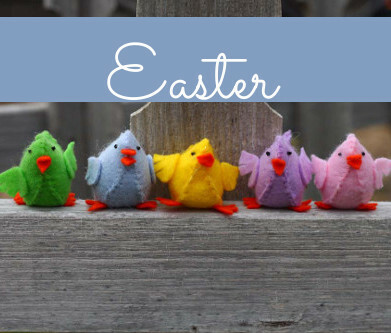 This entry was posted in Crafts, Family Crafts, Kid's Crafts, Recycled Crafts and tagged Family Crafts, Green Crafting, Guest Bloggers, Painting, Recycled Crafts, Techniques and Mediums, Yarn Crafts on April 18, 2013 by Guest Blogger. Thanks for sharing this fun looking project. My grandkids will loveit. These are a blast! So cool! 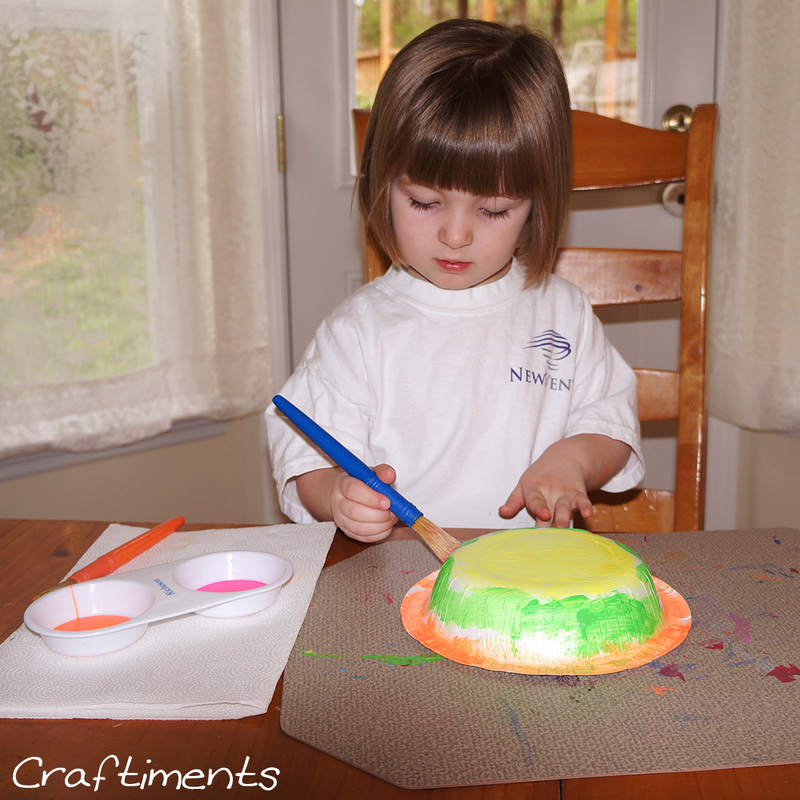 Make sure to check out Kristen’s website for even more creative kid’s crafts!